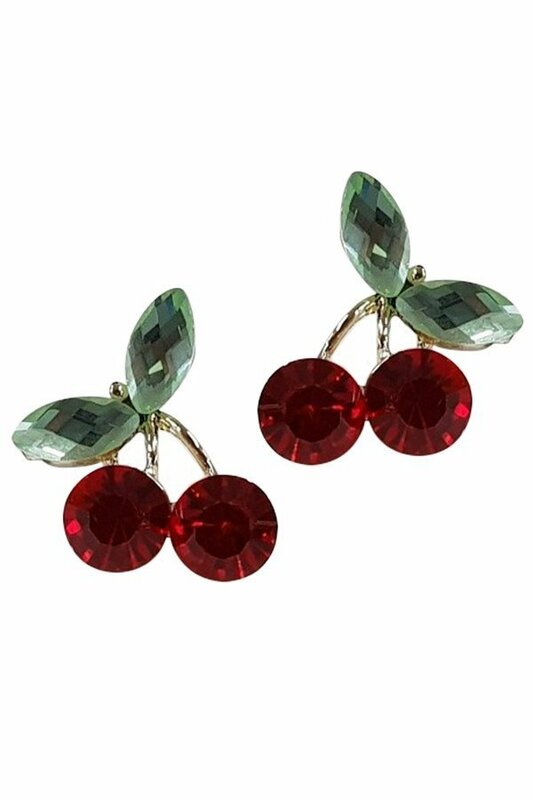 Description: Cherry post earrings embellished with faceted rhinestones. Approx. 0.75".